Dental Implant in Keller, TX | John W. Stephens, D.D.S. Implant Restorations in Keller - John W. Stephens, D.D.S. Missing teeth not only impact the aesthetic of your smile but your overall health as well. While there are a variety of teeth replacement options in dentistry, dental implants are the most reliable option to correct the concerns related to missing teeth. Working with a trusted specialist to place dental implants, John W. Stephens, DDS offers dental implant restorations in Keller, Texas, helping patients achieve the smiles they desire. We work with experienced specialists to have your implant posts placed. Dental implants support our custom restorations, completing your smile. Unlike traditional teeth replacement options, prosthetics supported by dental implants provide an array of benefits for lasting oral health. Because an implant mimics natural tooth roots, it helps to preserve the integrity of the jawbone and prevent sunken facial aesthetics due to bone resorption. Implant restorations are self-contained and conserve remaining teeth. 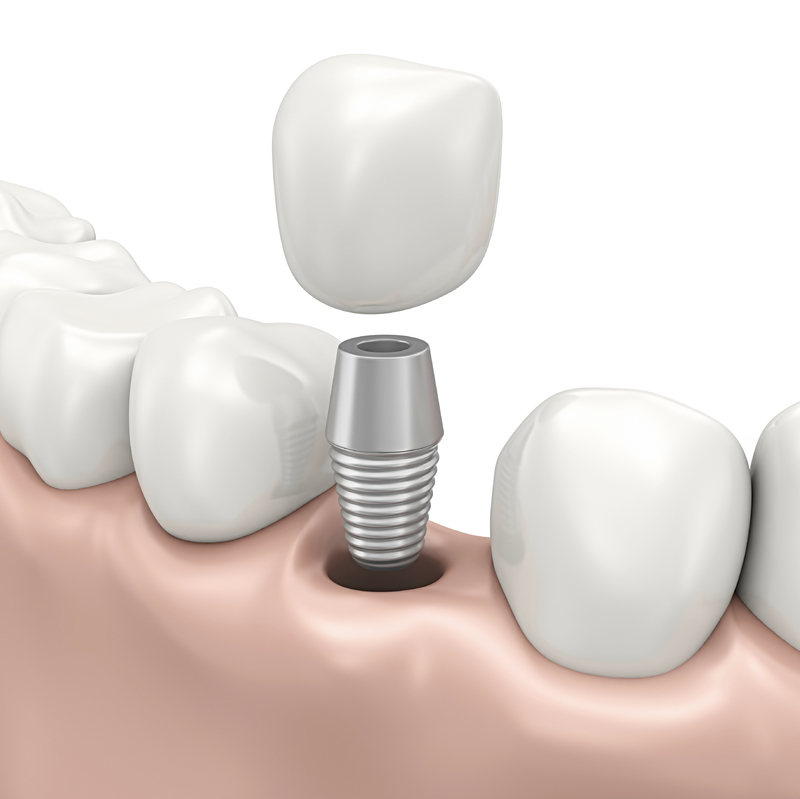 Implants create secure teeth and improve functionality, including improved speech and digestion. Implant restorations also relieve pain or bite problems caused by missing teeth. Restore your self-confidence with a full, healthy smile made possible with dental implants and restorations in Keller. Implant-Supported Crowns – This single tooth replacement option is perfect for patients with one or sporadically missing teeth throughout the smile. Our porcelain crowns are shade matched and fabricated to look and feel like natural teeth. Implant-Supported Bridges – Traditional dental bridges utilize neighboring teeth to secure a fake tooth. Implant-supported bridges keep adjacent healthy teeth unaltered and prevent shifting to retain bite alignment. Like our dental crowns, our bridges are made of an aesthetic material for a seamless addition to your smile. Implant-Retained Dentures – For edentulous patients, or those missing full arches of teeth, dentures are the recommended option to restore bite function. However, these prosthetics can become ill-fitting over time as jaw bone resorbs. Implant-retained dentures are stable, reliable prosthetics that support jaw bone health. Enjoy your favorite foods and speak with confidence with permanent dentures. We’re here to help you make an informed decision regarding implant restoration treatment in Keller. For more information regarding whether you are qualified for implants, or if you’d like to schedule a consultation, contact the practice of John W. Stephens, DDS today.